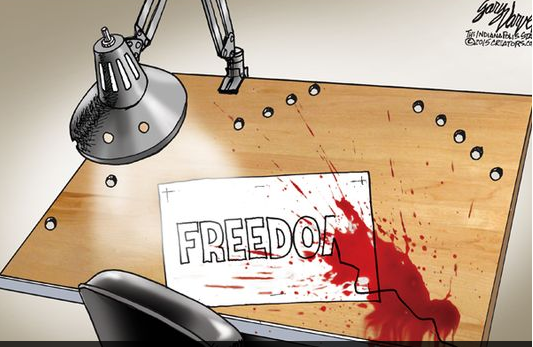 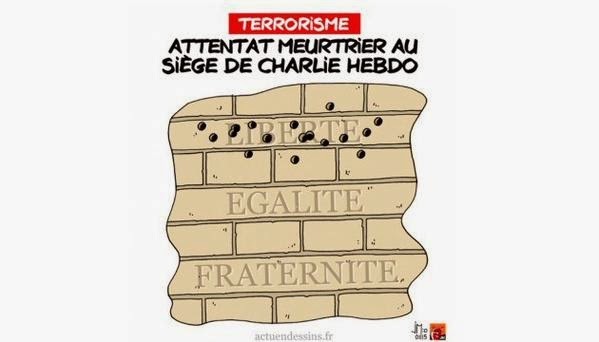 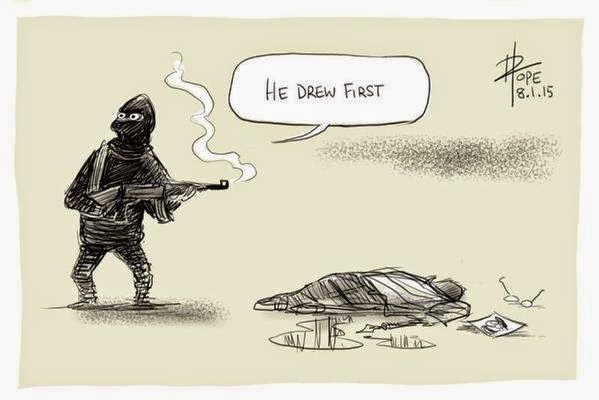 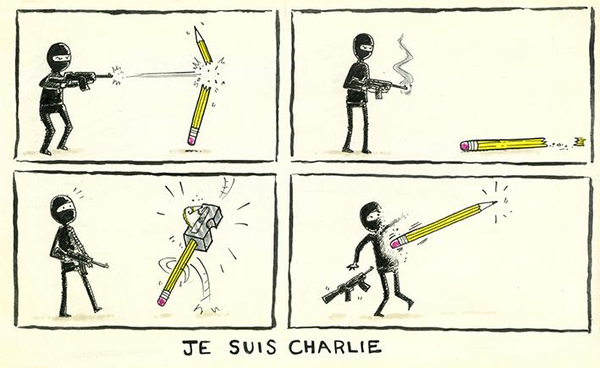 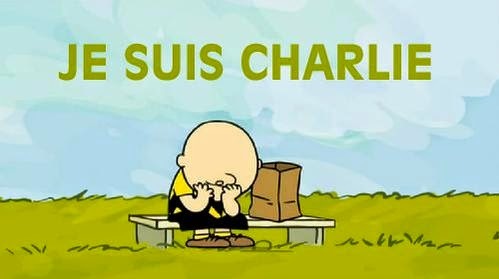 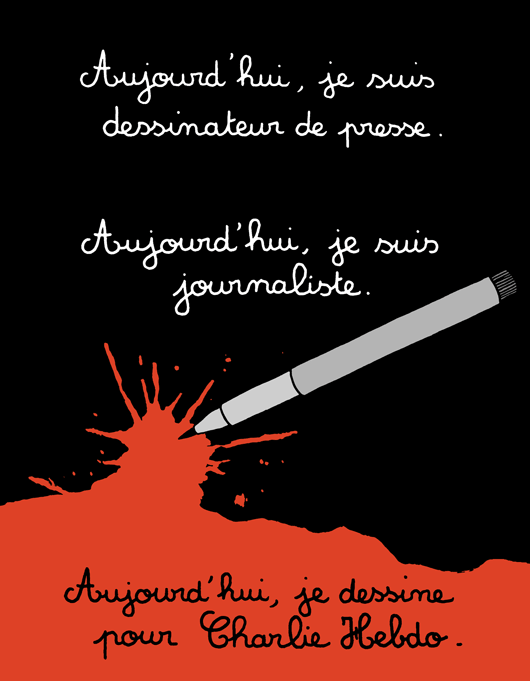 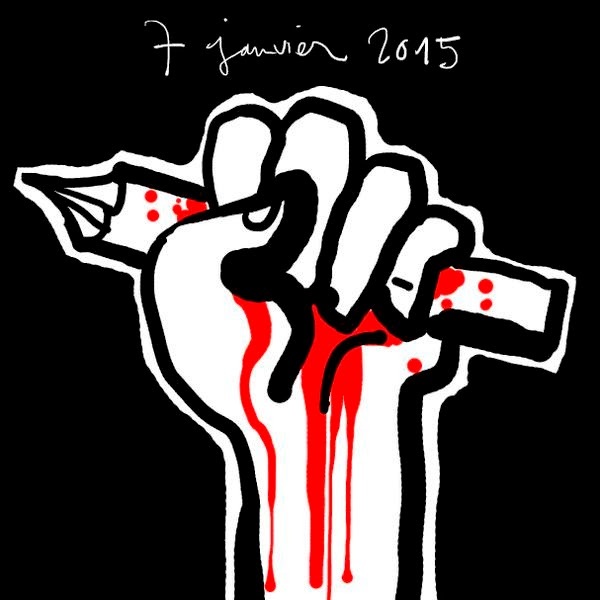 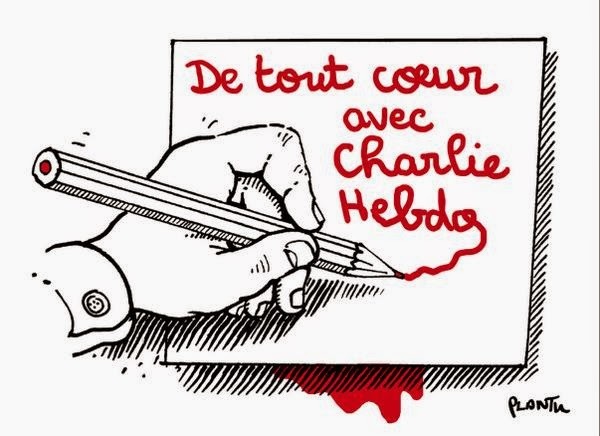 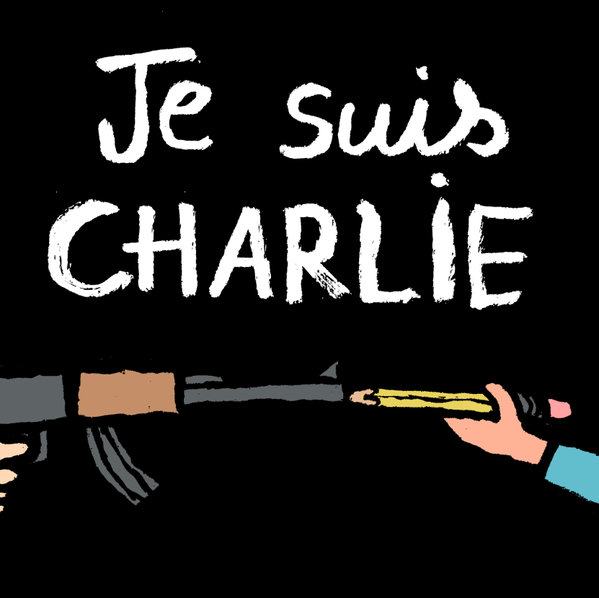 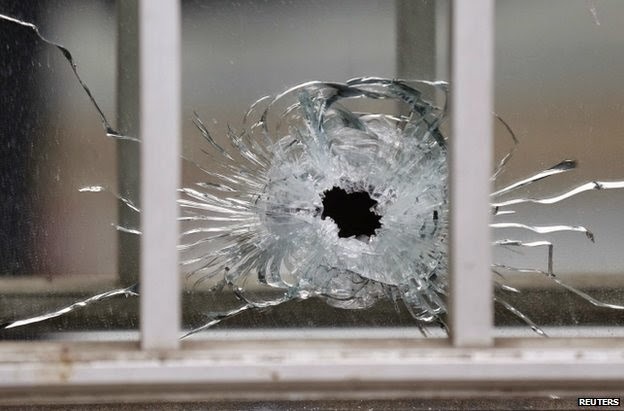 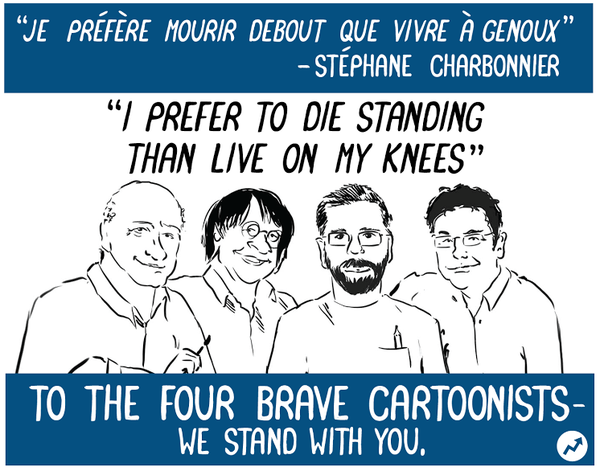 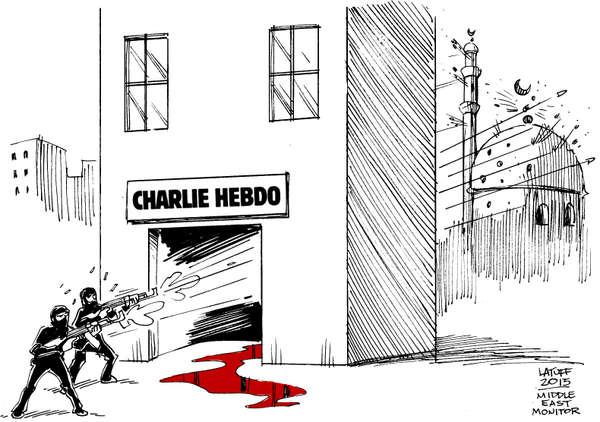 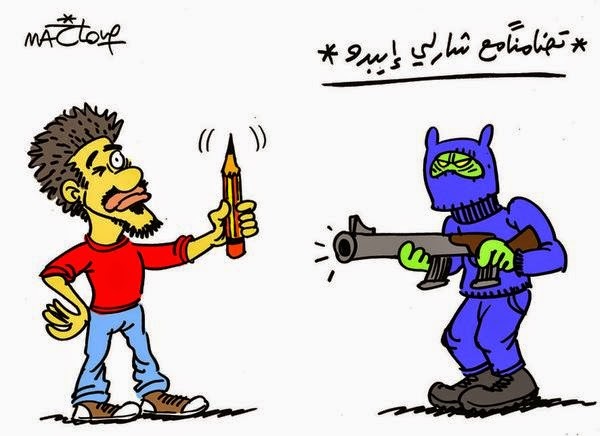 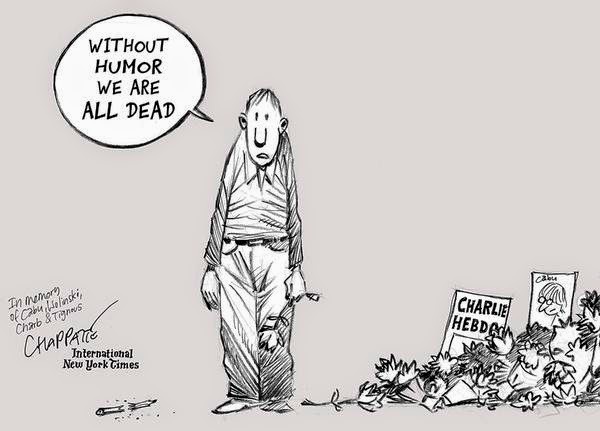 Yesterday, Wednesday, 7 January 2014 during Charlie Hebdo’s weekly editorial meeting, two gunmen attacked the office and killed 10 journalists from the publication along with two French police officers. 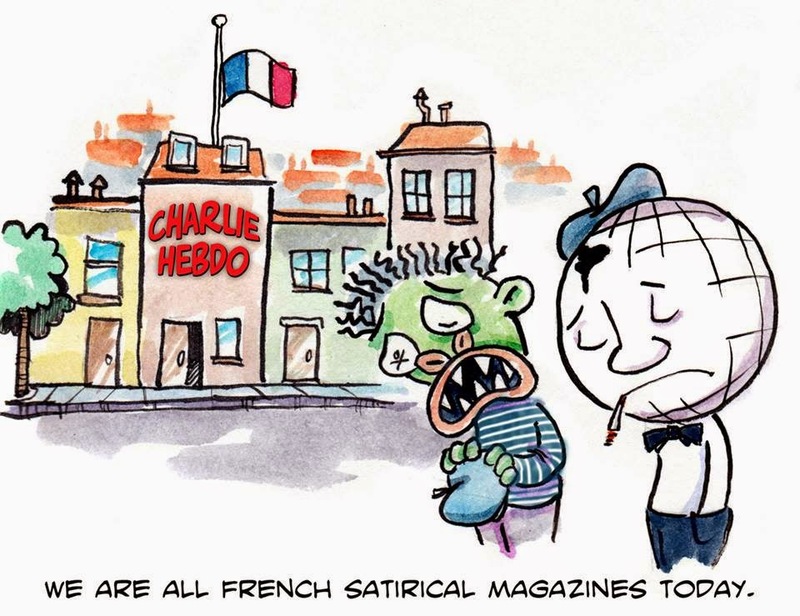 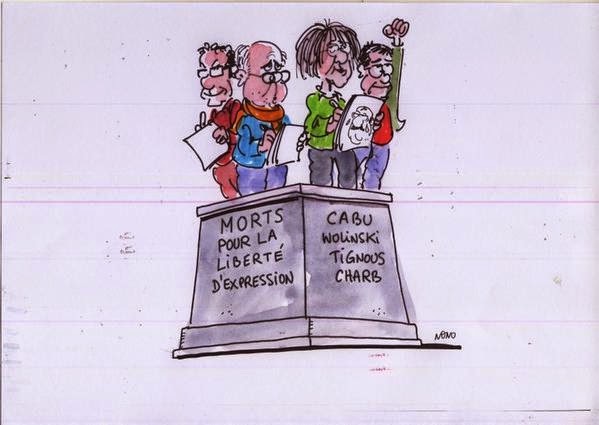 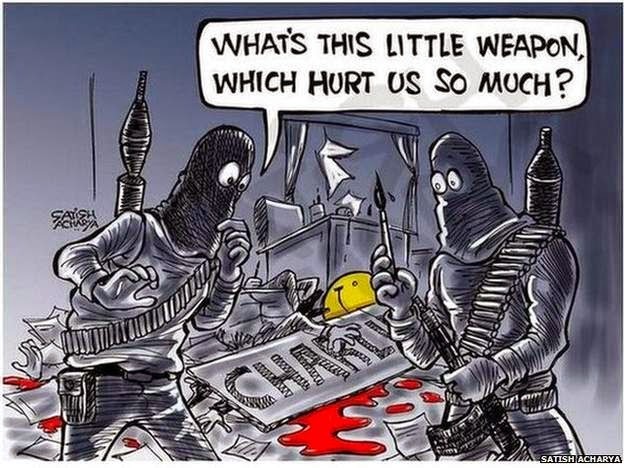 Charlie Hebdo is known to be controversial nonreligious French satirical weekly newspaper that was always known for its cartoon drawings and jokes on various religions. 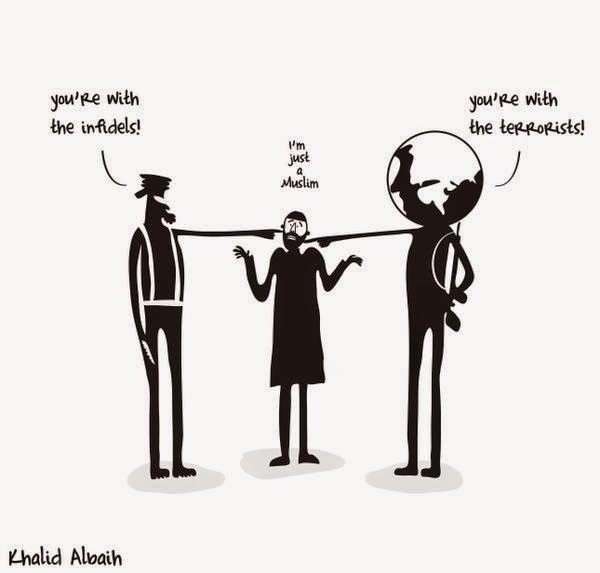 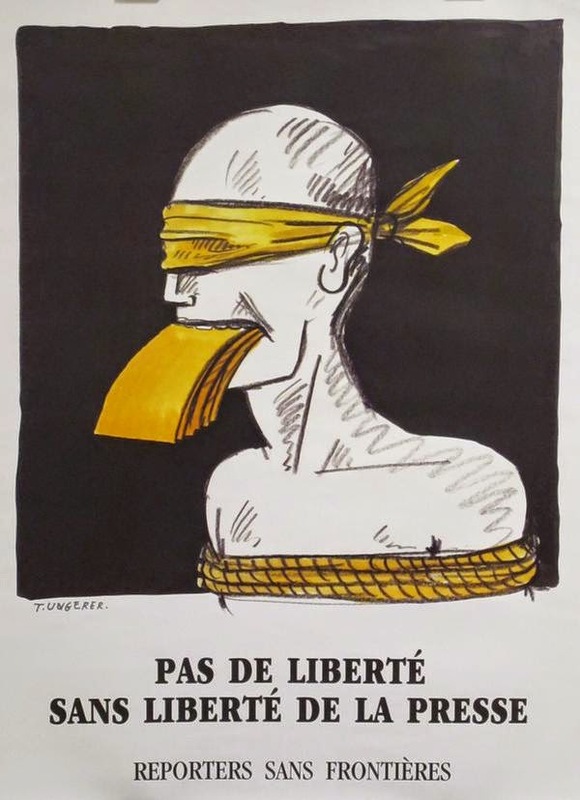 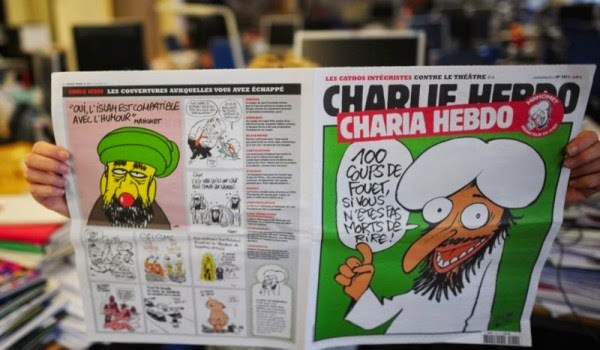 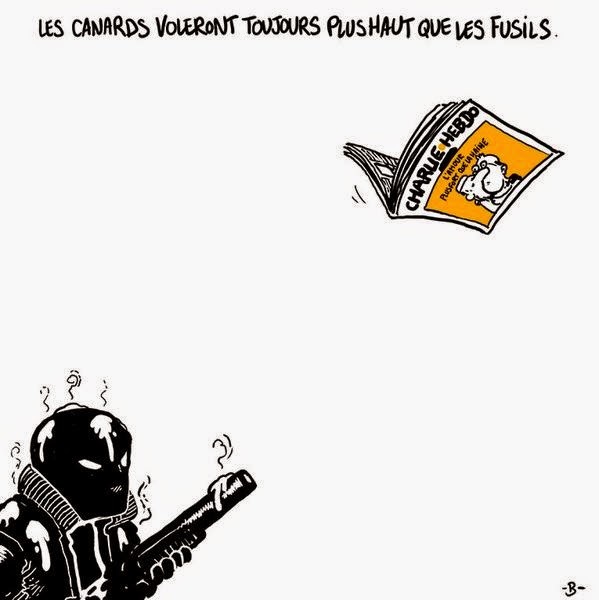 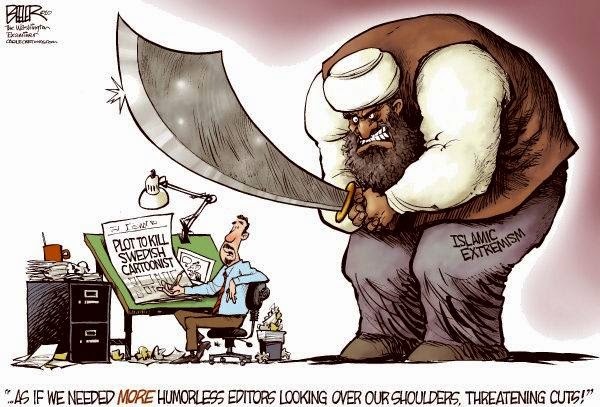 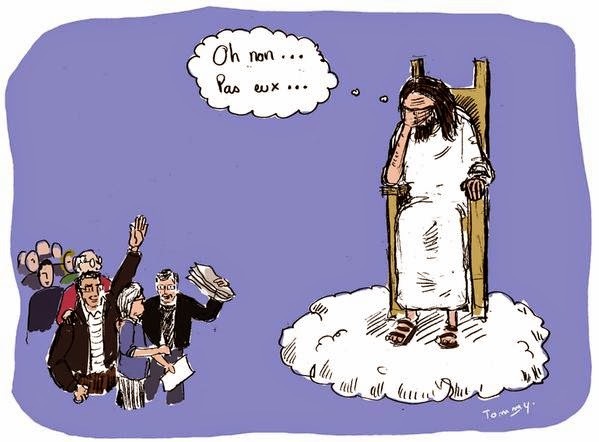 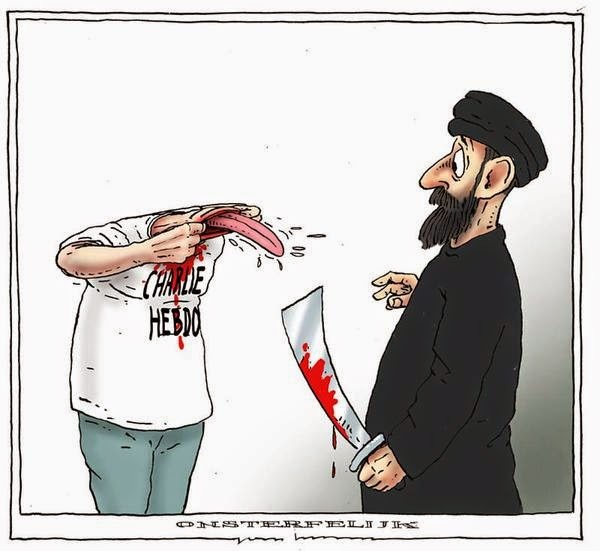 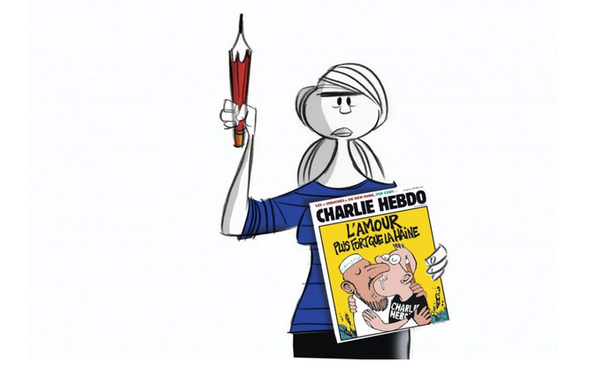 In 2011, things started to get worse for the French publication when they renamed the issue to “Charia Hebdo” (a play on the word Sharia) and depicted a cartoon version of Prophet Muhammad saying, “100 lashes of the whip if you don't die laughing”. 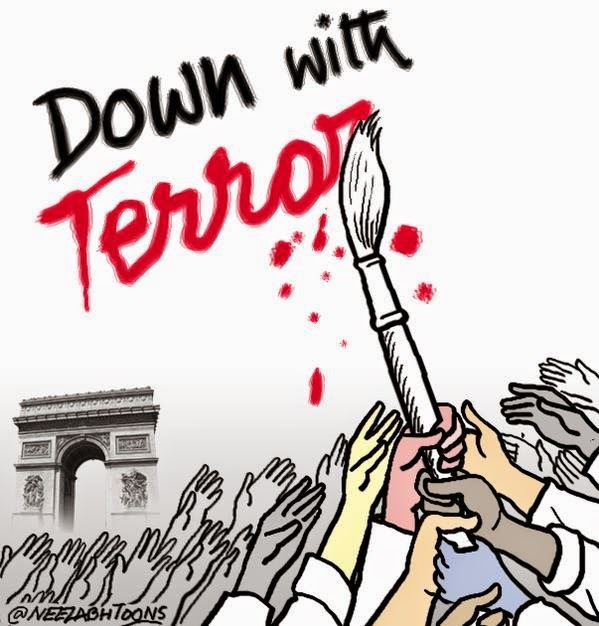 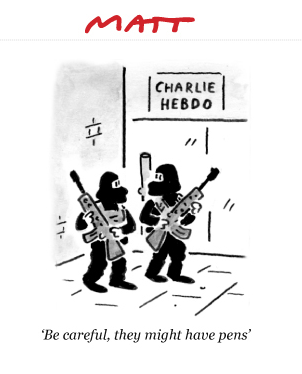 From then on, Charlie Hebdo constantly received warnings and attacks which are suspected to be from Islamic terrorists. 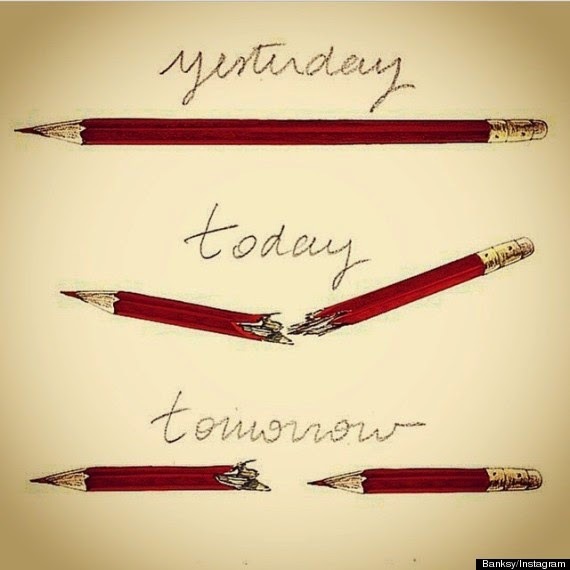 Until yesterday, when those treats finally came true, shocking the world in the process. 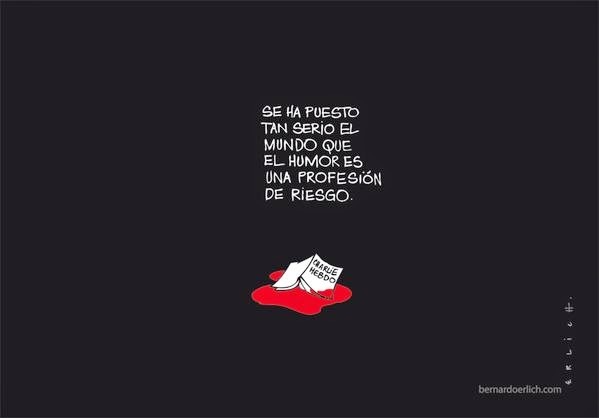 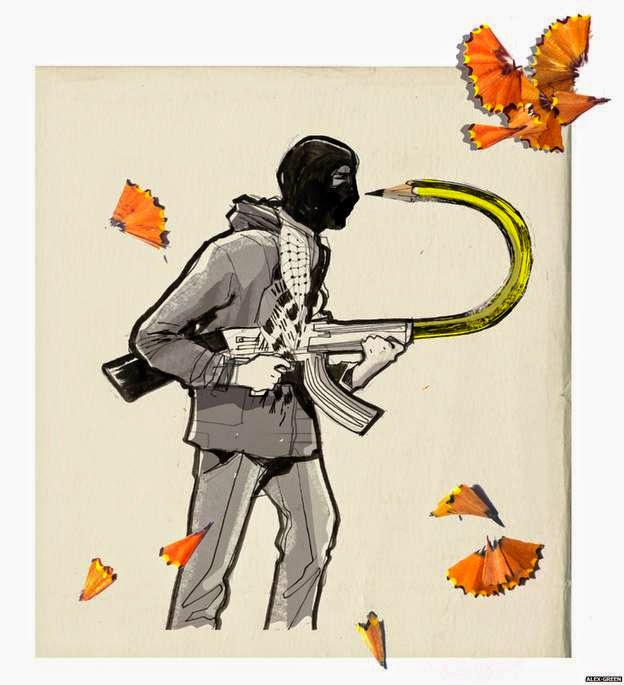 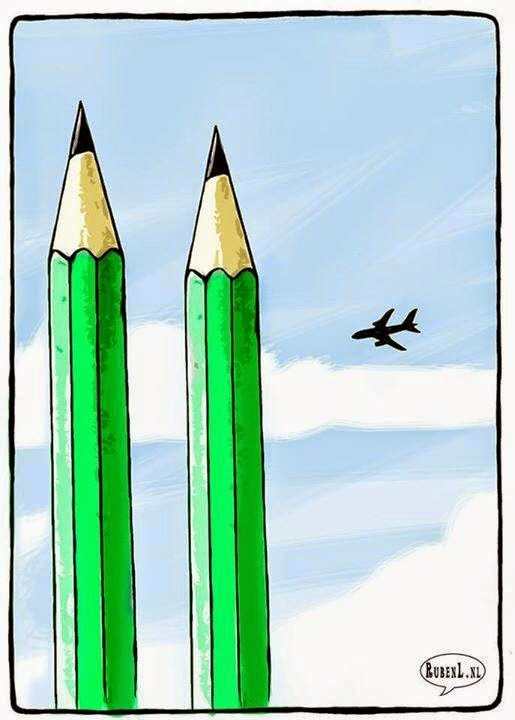 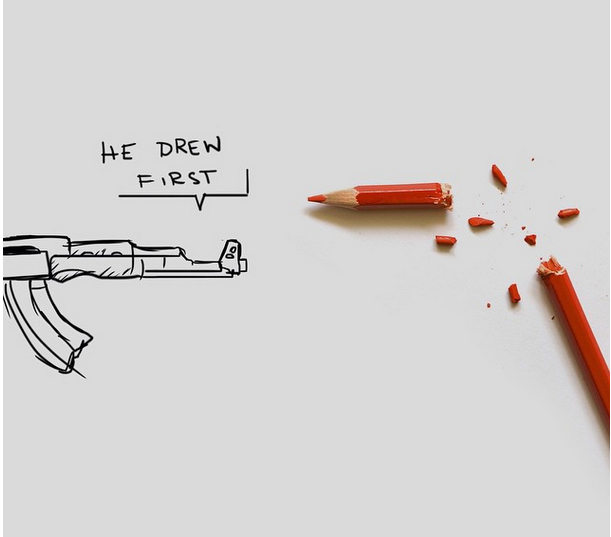 To pay tribute, artists from around the world came up with their own drawings in remembrance of the cartoonists that were killed during the terrorist attack.